And trying different antibiotics to control one such "superbug" may only encourage others lurking nearby, according to new findings made in hundreds of nursing home patients by a team from the University of Michigan. In fact, the researchers say it's time to think about such bacteria as members of an antibiotic-resistant ecosystem in healthcare environments - not as single species that act and respond alone. Forty percent of the 234 frail elderly patients in their study had more than one multidrug-resistant organism, or MDRO, living on their bodies. Patients who had specific pairs of MDROs were more likely to develop a urinary tract infection involving an MDRO. The researchers created a map of interactions among bacteria and classes of antibiotics, which they've published with their findings in the Proceedings of the National Academy of Sciences. Eventually, that kind of mapping could help healthcare providers. For instance, they could choose to treat a patient with a specific antibiotic not just because of its ability to kill one MDRO, but also for its potential downstream impact on other MDROs that may be lurking on the patient, or nearby. But that will take time, and more research in the laboratory and in healthcare facilities, say the researchers, led by systems biologist Evan Snitkin, Ph.D. of the U-M Medical School Department of Microbiology and Immunology. So in the meantime, they hope their new findings will give healthcare providers and patients even more reason to avoid using antibiotics in the first place unless they're truly necessary - because "superbugs" evolve in response to them. The researchers used detailed data from a long-term study of nursing home patients led by U-M geriatrician Lona Mody, M.D., M.Sc., who studies infection transmission and prevention in nursing homes. The team also included Betsy Foxman, Ph.D., a longtime researcher in the epidemiology of antibiotic resistance and urinary tract infections. Nearly two-thirds of the patients studied were treated with one or more of 50 different antibiotics during the study period. All the patients in the study used a urinary catheter to empty their bladders for at least three days during the study period. This allowed the researchers to look at patterns of urinary tract infections, which in nursing home and hospital patients often arise from bacteria entering the bladder along a catheter. The findings showed that colonization of such patients' skin, noses and throats with common MDROs was not random. "We observed a complex network of interactions, with acquisition of each of six different MDRO species being influenced by different sets of antibiotics, and primary MDRO colonization in turn increasing the risk of acquisition and infection by other MDROs," says lead author Joyce Wang, Ph.D., a postdoctoral fellow in Snitkin's lab who led the analysis. Colonization with one MDRO increased the risk of acquiring other MDROs - but not all others. It was as if they were interacting very specifically with other species. And treatment of a patient with any given antibiotic increased their chances of being colonized with an MDRO - which in turn altered their risk of becoming colonized with another MDRO later. The researchers focused on two of the most dangerous MDROs—vancomycin resistant Enterococcus (VRE), and methicillin-resistant Staphylococcus aureus (MRSA) - as well as four Gram-negative bacteria that have evolved resistance to two powerful antibiotics. 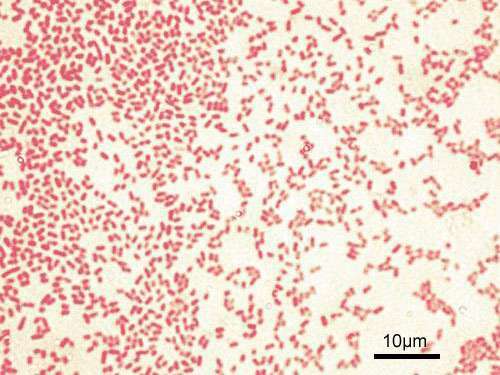 One of the four, Proteus mirabilis, causes many catheter-associated UTIs and can form biofilms that involve many bacteria. It's known to release a compound called urease, which acts as a means of communication among bacteria. The other three species of MDRO studied were Acinetobacter baumannii, Escherichia coli and Pseudomonas aeruginosa. These same species are known to cause many infections in hospitals, which have poured major effort into fighting them and preventing their spread. But, says Snitkin, "A lot of the attention in infection prevention is paid to large academic hospitals - but this is a fruitless endeavor if you're not controlling the same organisms in all the connected healthcare facilities and nursing homes," where patients go after a hospital stay, or live long-term. "We need to understand what clinical practices drive the spread of MDROs in healthcare facilities, and counterintuitively, it appears that a key factor is the use of certain antibiotics used against an individual organism that may impact other circulating organisms." In short, every nursing home and likely every hospital in America is home to a natural experiment in the evolution of bacteria strains, to become resistant to drugs and to survive on a host patient or travel between hosts. The people who work to prevent infections in healthcare facilities could someday harness advanced DNA sequencing techniques to help them combat superbugs, Snitkin says. These tools, which he and his colleagues have been using in their research labs for a decade, help pinpoint exactly which strains of different bacteria are present, and how they're evolving. That, combined with knowledge about how different MDRO strains interact with one another and how specific antibiotics affect them, could help steer doctors' decisions in future.